The condo is a model and corner unit located on the 2nd floor with an L-shaped wrap around balcony giving you mountain views with wonderful sunsets and a view of downtown Riverstone below. NEW HARDWOOD FLOORS thru out the Condo added January 2019 . The gourmet kitchen has beautiful granite countertops and is fully equipped with everything you need to enjoy your stay. The living room includes a 32 in flat screen TV with a DVD .The condo has 3 bedrooms. A spacious Master Suite with a king size bed (TV&DVD), attached master bath with 2 sinks, tub, separate shower, and a large walk-in closet. Bedrooms 2 & 3 each have a queen size rustic log bed. Amenities within the Riverstone complex include restaurants (Red Robin, Bardenay, Azteca ), 14 screen Regal movie theatre, Zi Spa, bike rentals, Cold Stone and Starbucks to name a few. Local activities: The Centennial Trail is a short 2 min. walk from the condo for jogging/biking enthusiasts and the city park and beach is a 10 minute bike ride along this trail. The Kroc Community Center is a 116,000 sq.ft. fitness ctr/gym with an indoor pool, rock climbing and exercise classes. Also nearby is the Coeur D'Alene Public Golf Course. Conveniently close to I-90. Keywords: Condo with the warm mountain feel of north Idaho. Granite countertops and stainless steel appliances in kitchen, electric fireplace, rustic log beds and a large private L-shaped wrap around deck/balcony with mountain views and a peek-a-boo view of the Spokane River. I am a native of CDA and love it here with beautiful Lake CDA and all the activities CDA has to offer. I have all activity booklets in the condo on what to see and do in the area. Huge L Shaped Balcony. Model Unit of the entire Riverstone Complex. Rustic Decor tastefully done. Very Comfortable, great location and spacious with an open floor concept. 2 TVS . One in Living Room . One in Master Bedroom. Absolutely wonderful condo. Located by both shops and restaurants. Very spacious and beautifully appointed. Owners were very easy to work with and replied to my emails quickly. Would definitely stay there again. Clean, comfortable condo. Had everything we needed! Would stay there again! Thank you for your kind words . I look forward to a return visit . Had a mini reunion of four high school friends and picked this condo in Riverstone-it was fabulous! The condo is large and so very welcoming-the bedroom furniture is “beautifully Northwest,” and the beds were gloriously comfortable! 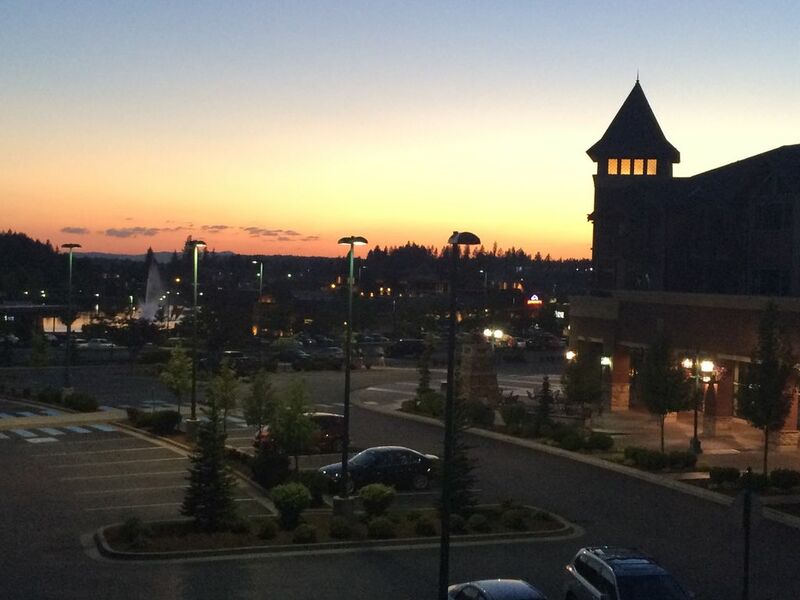 The balcony has great sunset views and we loved having the cinema, stores, and restaurants just steps away! Jodi was marvelous and so friendly, outgoing, and helpful! Would definitely stay again! Great location for a CdA vacation! So happy your vacation was much enjoyed and that you enjoyed all the condo has to offer . Thank you for your nice comments . I look forward to next time . Nice place to stay, we would come again. Very nice, close to restaurants, shopping and the lake. Very clean and comfortable. Glad you enjoyed the condo and it’s great in town location . We loved our stay in the three bedroom Condo. Breakfast on the wrap-a-round patio every morning was a memory we will treasure. The beds were dreamy and we enjoyed just hanging out and then exploring the fun Riverstone area.